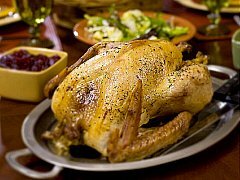 Foodista | Recipes, Cooking Tips, and Food News | great thanksgiving recipes! Thanksgiving is the time of cooking and sharing a wonderful meal with loved ones. We've gathered together a collection of delicious recipes to inspire you this season. You can also search above by food, ingredient or recipe. Have a wonderful recipe you'd like to share with the community? Simply click Add a Recipe . Have a terrific Turkey Day!